The Delhi High Court in Anil Kumar v. Registrar General High Court of Delhi, Hargurvarinder Singh Jaggi v. Registrar General High Court of Delhi and Dharmender Rana And Ors. v. Registrar General High Court of Delhi, combining the three writ petitions whereby the three petitioner challenged the answers provided in the answer key by the Delhi HC for the preliminary stage (objective type questions) in the Judicial Services Exam, 2015 (DJS), decided to dismiss the application for staying the written exam. The Division Bench comprising Justice Pradeep Nandrajog and Justice Pratibha Rani perused through the nine challenged questions, and after a careful study, made the required changes the evaluators have to mark the papers giving the needed directions. In this case, on December 18, 2015, the Delhi High Court invited applications from eligible candidates to fill up nine vacancies by direct recruitment to the Delhi Higher Judicial Service by holding the Delhi Higher Judicial Examination - 2015. The advertisement inviting applications disclosed that the examination would be in two successive stages: (i) an objective type with 25% negative marking for selection to the main examination; and (ii) a descriptive examination. In the objective type (preliminary examination), there were 125 questions. On April 8, the Delhi High Court put on its website the model answer keys to which many candidates filed objections. However, the result was declared on August 26 and simultaneously it was uploaded on the website that all objections were rejected. There were nine questions that were put up for hearing in the writ petitions. For one question, no objection was filed when the answer key was uploaded on the website and thus the court held that challenge to the said question was not maintainable. Thus the issue pertaining to eight questions survived. The court decided to rely upon the decision reported as (1983) 4 SCC 309 Kanpur University Vs. Sameer Gupta as guiding principles on which objections to the answer key or the question itself need to be tested. In this case, the Supreme Court had laid down the scope of judicial review pertaining to an answer key and held that key answer should be assumed to be correct unless it is proved to be wrong and that it should not be held to be wrong by an inferential process of reasoning or by a process of rationalisation. It must be clearly demonstrated to be wrong, that is to say, it must be such as no reasonable body of men well-versed in the particular subject would regard as correct. Moving on, the court commenced with the rest of the eight questions. In the first question, the objection was to the sentence construction comprising the question. The candidates contended that there were two possible outcomes as the students read the question in a different way that it was intended to understand. The court stated that the possible dilemma of a reader was easily resolvable by reading the question in the manner illustrated by the court, for the reason if read in the other possible manner, there was no option available to be chosen from the options and since the question was clear that candidates had to choose the most appropriate option, the challenged to this question was dismissed. Challenge to the second question was with regard to the decision of the Supreme Court in Revanasiddappa & Ors. vs. Mallikarjun & Ors., which relates to sub-section 3 of Section 16 of the Hindu Marriage Act, 1955. The judgment in question did not overrule the existing law and, thus, the answer in the key was held to be correct. (i.e. False). In the third question there was a doubt if the answer was culpable homicide amounting to murder or murder under section 304 of IPC. 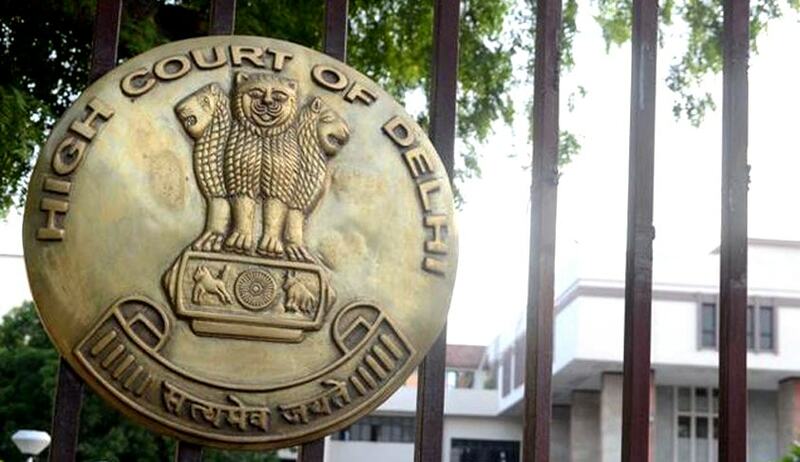 The court relied on a previous Delhi HC judgment in Nehru Jain vs. State NCT of Delhi and 168(2010) DLT. As regards the fourth question, the court found no problem with it and let it be. Section 135 of the NI Act was considered to be a complete answer and the contention that another option (option 2 as prayed by them) could also be true was rejected by the Delhi HC. The fifth question objected to was that while Brie Larson won the Oscar Award for best actor in 2016, Julianne Moore won the Oscar Award for best actor in lead female role in 2015. The basis of the argument was that a plain reading of the question would mean as to who won the Oscar Award for best actor in a lead female role in the year 2015. The Delhi High Court responded that the question concerns the winner of the Oscar Award in the lead female role for a movie which was released in 2015 and they urged that an award always succeeds an event and thus Oscar Awards for movies released in a year is announced in the next succeeding year. However, the court dismissed the explanation and decided none of the options provided is the correct answer, requiring the question to be deleted with consequence to flow as per the instructions i.e. 2 marks to be given to all the candidates and if negative marking has reduced the score of a candidate by 0.5 marks, the said reduction to be taken away. The challenge to the sixth question failed in light of the known and recognised principles of law that a mistake by a court, if causes injury to a party, has to be rectified and corrected by the court. The seventh question was debated in light of the decision of the Supreme Court in Gurbinder Singh vs Lal Singh. The court opined that the phrasing of Article 144 of the Limitation Act, whereby the limitation period was deemed to start when the possession of the defendant became adverse to the plaintiff and the definition of the term “defendant” under section 2(4) of the Limitation Act which provided that defendant includes “any person from or through whom a defendant derives his liability to be used‟, clearly supported the view that the defendant could only rely upon his adverse possession or the adverse possession of someone with whom he had a jural relationship, that is, someone through whom he claims, to prove that he had been in possession of land for more than 12 years as required under Article 144. The court opined that the answer given in the model paper was wrong as it didn’t talk about any jural relationship. As regards the last (or eighth) question, a similar question arose in judgment of Delhi HC in Gunjan Sinha Jain vs. Registrar General, High Court of Delhi. In view of the conflicting decisions of this court and the matter awaiting authoritative pronouncement by the Supreme Court, it was held that currently the question at hand did not have a definite answer because the position in law was fluid. Thus, the court directed the said question to be deleted and as per instructions two marks to be given to all candidates and if the question was attempted and wrong answer given then as a consequence 0.5 marks deducted, the said deduction had to be removed. The answer key qua question No.3 above noted be corrected with option No.3 as the correct answer. Question No.5 above noted be deleted with 2 marks be awarded, or if wrongly attempted, then 0.5 marks be deducted. The answer key to question No.7 be corrected with option No.1 as the correct answer. Question No.8 above be deleted with 2 marks be awarded, or if wrongly attempted, then 0.5 marks be deducted. Thus, the appeal was partly allowed and the civil applications for staying of the preliminary exam DJS, 2015, was dismissed as held infructuous.